We start our Halloweenies with an absolute beauty from Pretty and Polished - Witchy Woman. I layered this over KIKO 332 to add a little depth as the polish itself is primarily a smoky jelly. 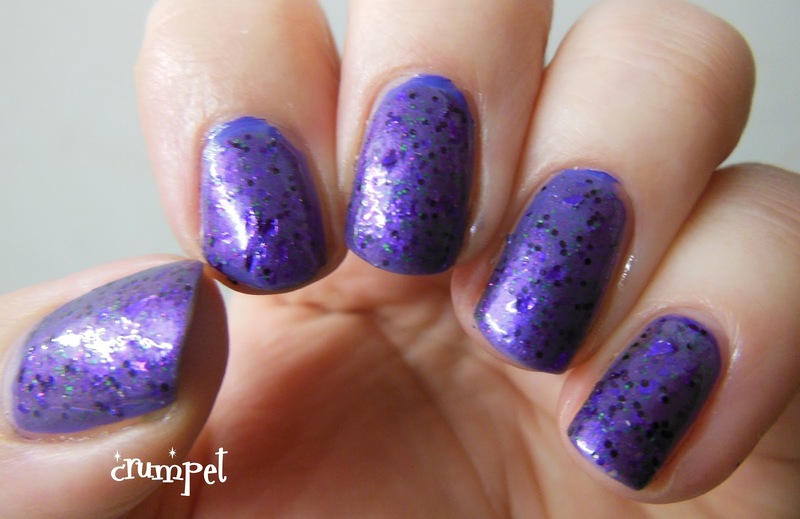 Fused with the purple polish, it makes a stunning combination. 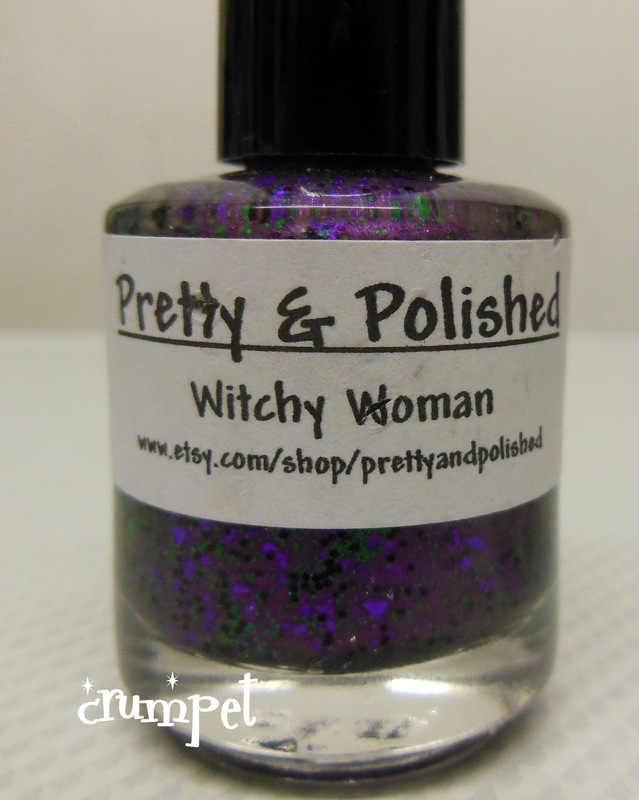 Witchy Woman itself is a heady and marvellous potion. Equal parts purple and green glitter, this is an evil witch's polish, with bat wings and toads in there somewhere. There's the occasional flash of fuchsia too. This is a swamp of a polish, all black magic and shredded dresses, cobwebs and gnarly nails. Love it, absolutely love it. A cooed at my hand all day wearing this one. It's a stunner, a winner and a polish strictly for the night. By the way, don't know why I seem to have vampire marks in my index nail, but quite appropriate lol !